While established consensus guidelines for ADHD care exist, these guidelines can be challenging to implement in typical community-based pediatric practices. With a mission to improve the quality of ADHD care in the tri-state region, Cincinnati Children’s Hospital Medical Center (CCHMC) developed a program called the ADHD Collaborative to promote the adoption of these guidelines among local community pediatricians. The program focused on modifying the office system using academic detailing and quality improvement (QI) methodology to accommodate prescribed practice changes. The ADHD Collaborative was very successful at improving ADHD care,  and sustaining these practice behaviors over time at minimal cost to the project and to the office practice. Unfortunately, the methods used in the ADHD Collaborative (i.e., didactic trainings, office-based training visits, provision of tools, monitoring through chart review) were not amenable to spreading the intervention nationally. In partnership with the American Academy of Pediatrics Chapter Quality Network, the mehealth for ADHD software was initially spread using 6 state AAP chapters. Now, the investigative team at CCHMC was recently funded by NIH to study the dissemination of the mehealth for ADHD software nationally. The expressed goal is to recruit over 5,000 community-based pediatricians to adopt the software and to research how practice-, pediatrician-, and patient population-level sociodemographic predictors relate to reach, adoption, implementation, and maintenance of use of the mehealth for ADHD software. Epstein, J.N., Langberg, J.M., Lichtenstein, P.K., Mainwaring, B.A., Luzader, C.P., & Stark, L.J. (2008) A community-wide intervention to improve the ADHD assessment and treatment practices of community physicians. Pediatrics, 122(1):19-27. doi: 10.1542/peds.2007-2704. PMID: 18595982. Epstein, J.N., Langberg, J.M., Lichtenstein, P.K., Kolb, R., & Stark, L.J. (2010). Sustained improvement in pediatrician’s ADHD practice behaviors in the context of a community-based quality improvement initiative. Children’s Health Care, 39, 296-311. Epstein, J.N., Langberg, J.M., Lichtenstein, P.K., Kolb, R., Altaye, M. & Simon, J.O. (2011). Use of a web portal to improve community-based pediatric ADHD care: A cluster randomized trial. Pediatrics, 128(5), e1201-e1208. doi: 10.1542/peds.2011-0872. Epub 2011 Oct 17. PMID: 22007005; PMCID: PMC3208964. 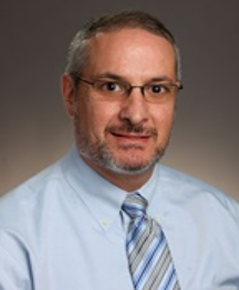 Jeff Epstein, Ph.D. is an Endowed Chair and Professor of Pediatrics in the Division of Behavioral Medicine and Clinical Psychology at Cincinnati Children’s Hospital Medical Center with a joint appointment in the University of Cincinnati Department of Psychology. He is also the Director of the Cincinnati Children’s Center for ADHD. He earned his doctorate in clinical psychology from State University of New York at Stony Brook and completed a clinical internship at the Medical University of South Carolina. Dr. Epstein is a licensed psychologist whose research and clinical work focus on the diagnosis and treatment of ADHD and other psychological disorders originating in childhood. 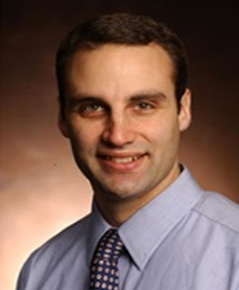 He is a co-investigator on the Multimodal Treatment Study of Children with ADHD (MTA). He has published numerous empirical papers on a variety of ADHD-related topics. Much of his empirical research has concentrated on ADHD-related cognitive deficits and the promotion of the evidence-based ADHD care in community settings. 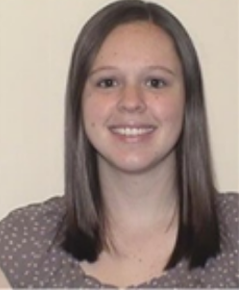 Caitlyn Clark, BA, is research coordinator at Cincinnati Children’s Center for ADHD for an NIH-funded R01 aimed at the nationwide dissemination of mehealth for ADHD to improve the quality of ADHD care among community-based pediatricians. Caitlyn is also program coordinator for Cincinnati Children’s Summer Treatment Program (STP), an evidence-based summer program for children with ADHD, founded in 1980 by William E. Pelham, Jr., Ph.D.
Tanya Froehlich, MD, MS, is a developmental-behavioral pediatrician whose research focuses on attention-deficit/hyperactivity disorder (ADHD). Her publications have investigated the prevalence of ADHD, ADHD medication use, and preschool psychotropic medication use. She also studies the contribution of environmental exposures (e.g., lead, tobacco, and pesticides) to ADHD etiology, and has served as co-investigator on a National Institute of Environmental Health Sciences R01 grant examining the effects of pyrethroid pesticide exposure on ADHD symptoms. In addition, Dr. Froehlich is working to identify predictors of ADHD medication response and received a National Institute of Mental Health (NIMH) K23 Award to investigate this topic. 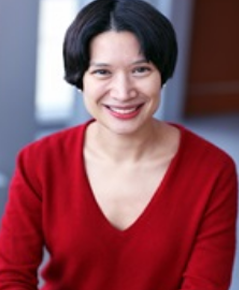 Currently, she is the principal investigator on a NIMH-funded R01 aimed at characterizing effects of abrupt methylphenidate discontinuation, including evaluating genetic and phenotypic moderators of effects.